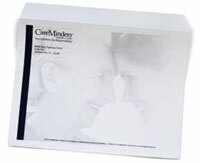 PFL offers two large size, 9" x 12" and 9 ½" x 12 &frac58;", and 6" x 9" booklet envelopes. Each large size comes with a standard glue seal or a custom, convenient self adhesive. Large envelopes can be printed in 4-color or black or use our custom printing effects to really make a statement with embossing, foil stamping, custom papers and spot and pantone inks. Don't have an envelope designed and ready to print? You've got options! When you want to make your 6 x 9 booklet or large envelope stand out as much as what is in it, talk to one of our design teams. They can make certain that your message is clear from the moment your materials first arrive at their destination. When you have something large to ship, why not add a touch of flair and continuity to your business stationary by custom designing a 6 x 9 or 9 x 12 large envelope with PFL? Whether you are sending a formal marketing proposal to a potential client, a letter of thanks to current clients, submitting a thesis or sending out your resume for a job, do it in style with custom packaging. 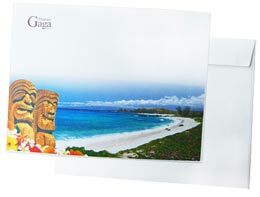 PFL's custom designed large envelopes add a touch of professionalism to your marketing materials. Large envelopes are also perfect for mailing odd-shaped brochures, booklets and catalogs, ones that the postal service would otherwise reject. Using professional business packaging to house these items solves that problem, while also creating an compact organized presentation of your information. 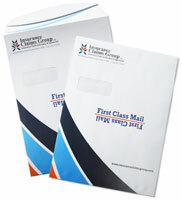 PFL will help you complete your corporate identity with superior quality, customized large envelopes. You'll be astonished at our affordable prices and incredibly fast turnaround. We guarantee you'll be thrilled with the results! Place an order online or call us now at 800-­930-2423 for project advice, a custom quote or free samples.